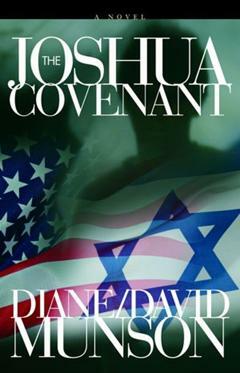 If you like compelling suspense that seems to arise directly from what is happening in the world today, read The Joshua Covenant. You’ll find CIA agent Bo Rider entangled with Iran, Hamas, and others who are determined to obliterate Israel and do significant damage to the United States and its citizens. When Bo and his wife Julia move to Israel with their children, they are look forward to immersing themselves in history, culture and the sights as Bo does routine work for the U.S. But then evidence of a mole burrowing around in the agency and a modern-day Goliath emerge. Will Bo and other agents survive the physical and personal attacks? Author David Munson was a career Federal Special Agent with the Drug Enforcement Administration and the Naval Investigative Service (now NCIS), often on undercover assignments. Co-author Diane Munson has been an attorney for 28 years and is a former Federal Prosecutor and official with the U.S. Department of Justice in Washington, D.C.